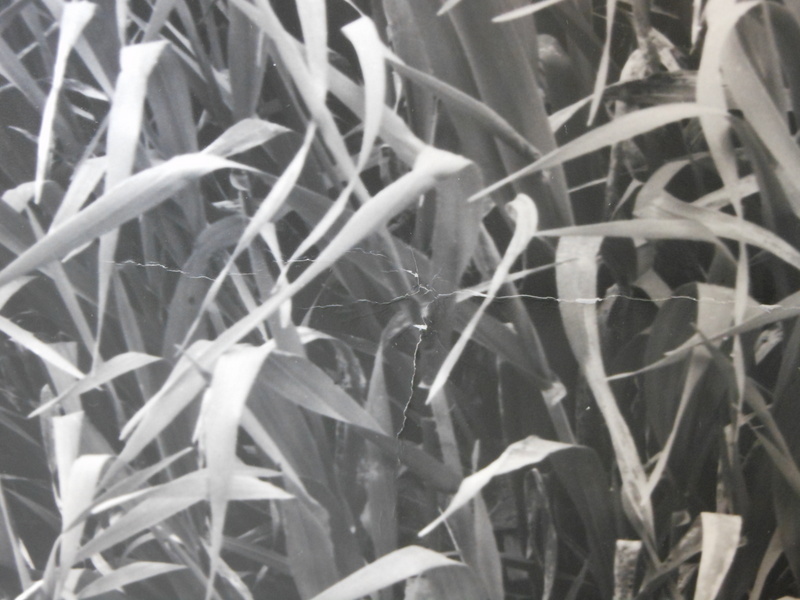 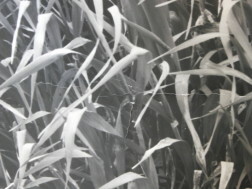 Field of Grasses, Laguna Niguel, early 1960s. 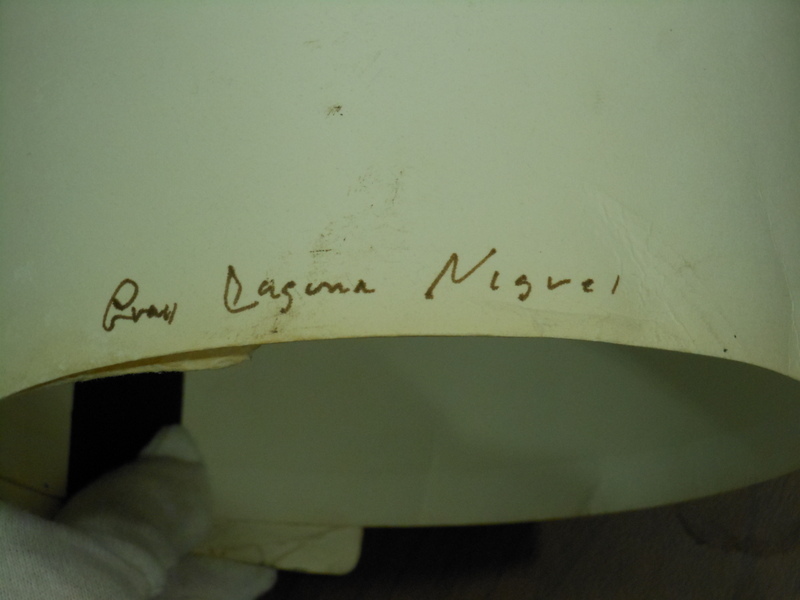 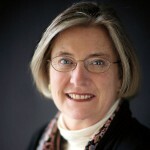 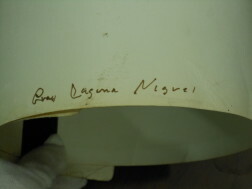 Unsigned, inscribed "...Laguna Niguel" in ink on the verso u.l. 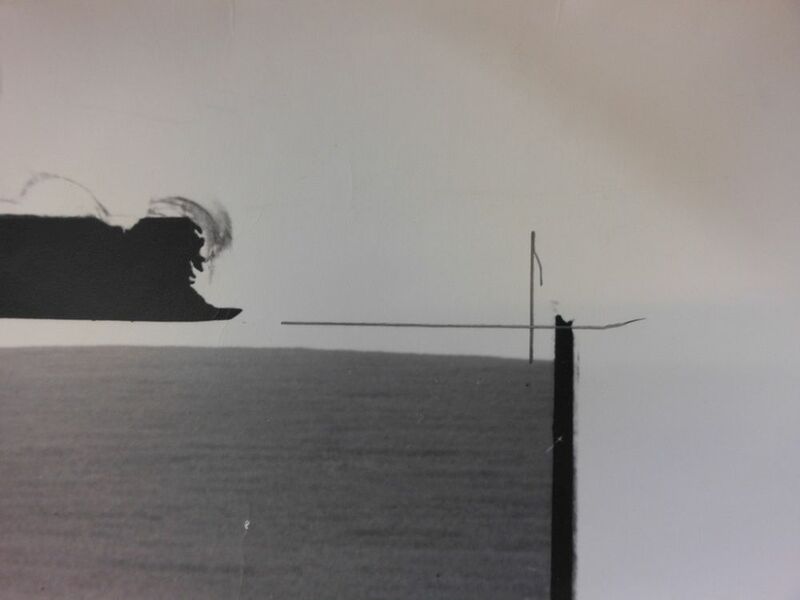 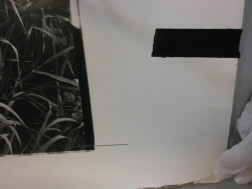 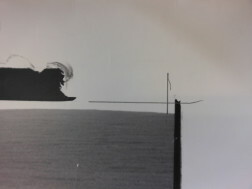 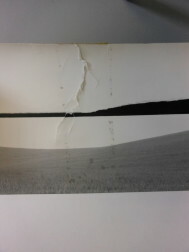 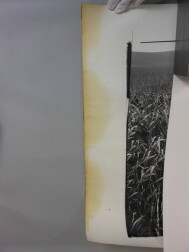 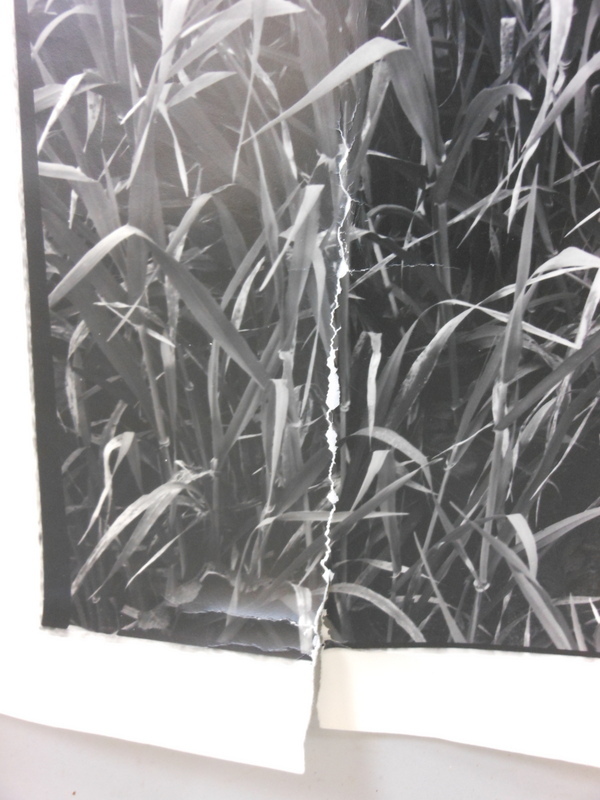 Gelatin silver print on double-weight paper, image size 21 x 30 1/2 in. 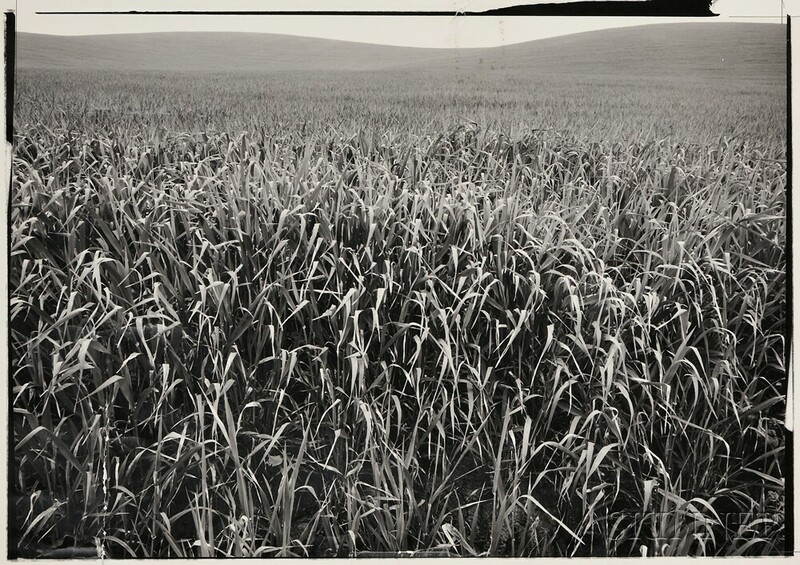 (53.4 x 77.5 cm), unmatted, unframed. 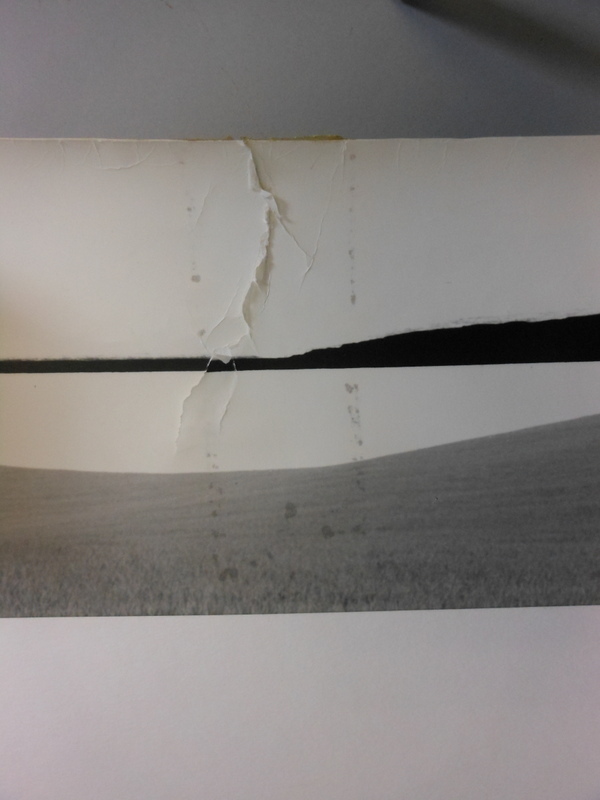 Condition: Scattered handling cracks and creases, two vertical tears in bottom edge (2 1/4 inches and 6 3/4 inches, respectively, into the image), vertical tear one inch into the image at u.c., staining and discoloration along right edge in the margin, graphite cropping lines at various points along image edges, several of which have broken through the emulsion. 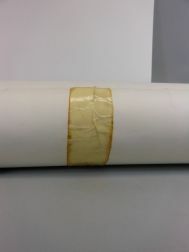 Sheet measures 25 1/2 x 41 1/2 in. 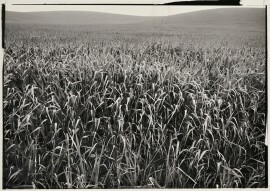 (64.8 x 105.5 cm). 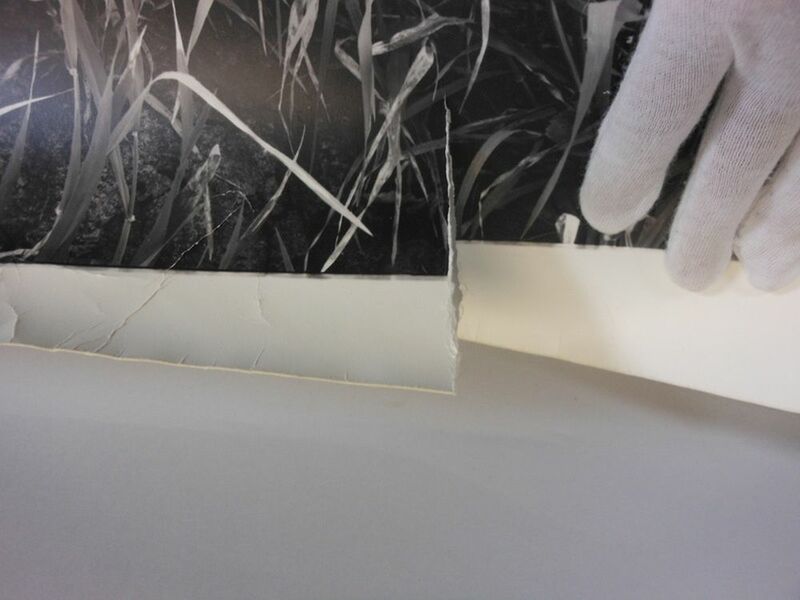 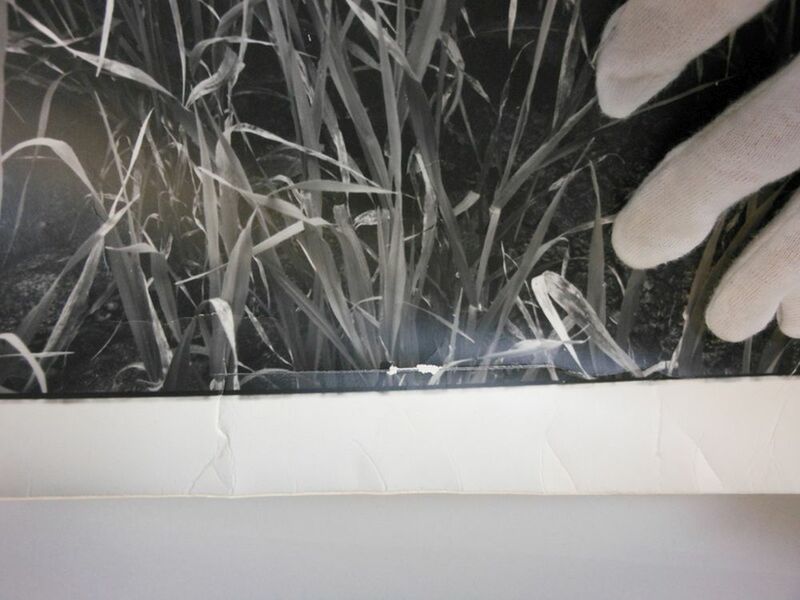 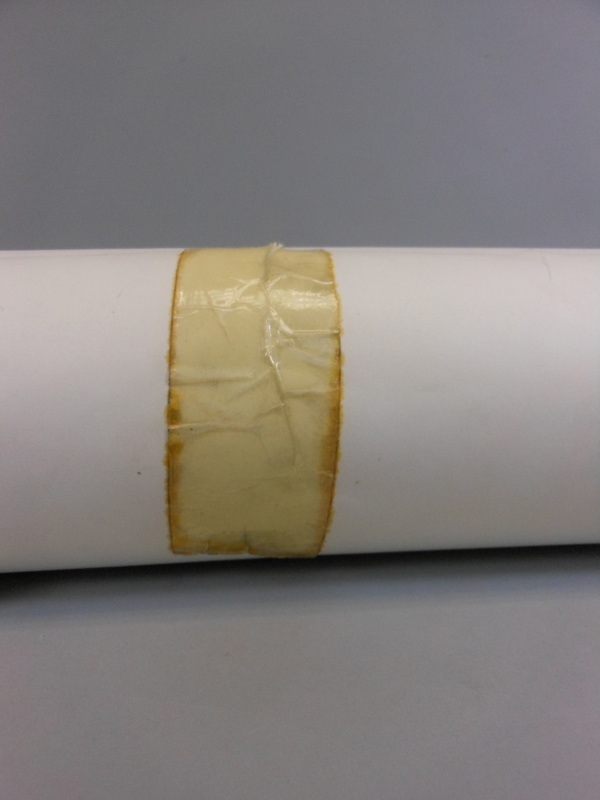 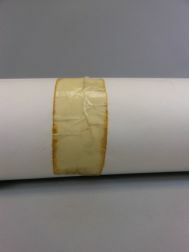 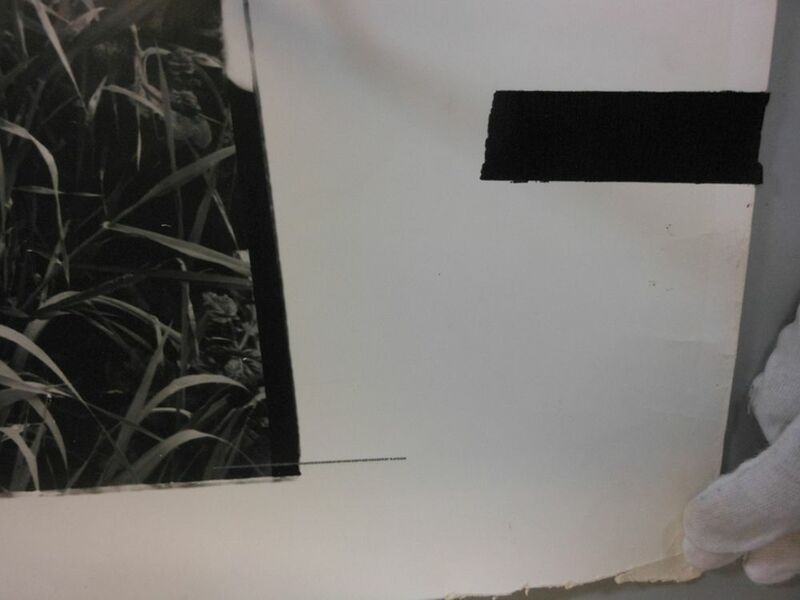 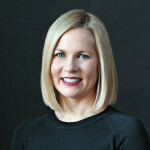 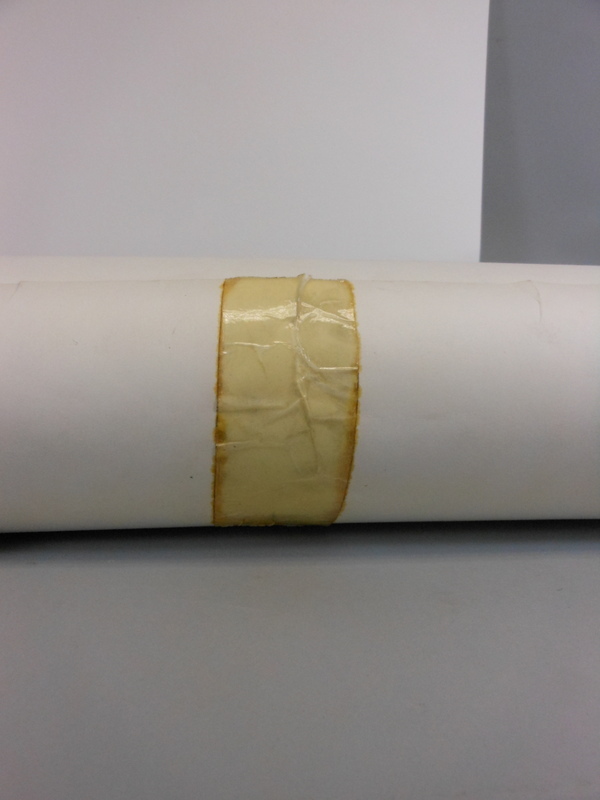 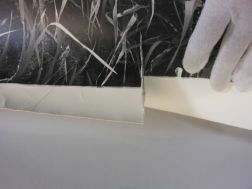 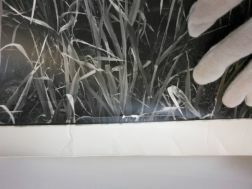 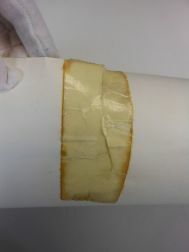 There is discolored cellophane packing tape (about 5 inches long) affixed to the verso in the area of the vertical tear at u.c. 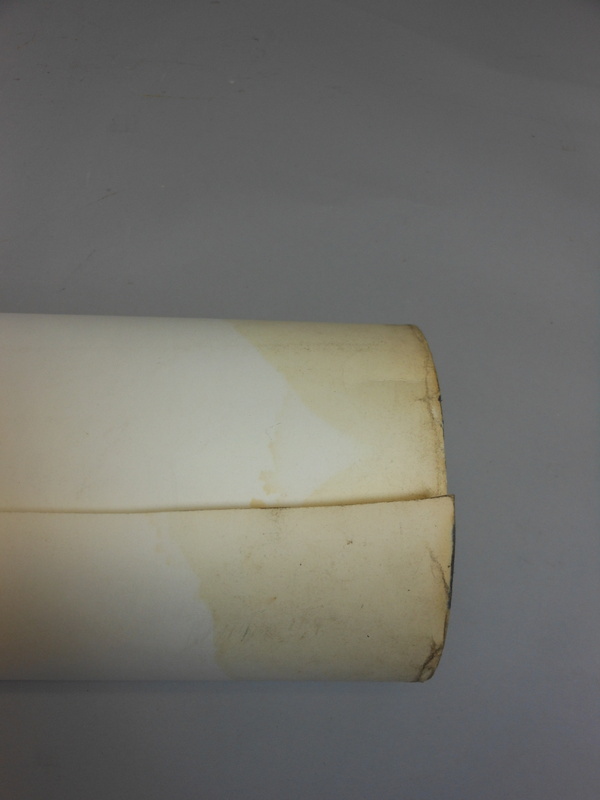 ; there is some adhesive residue coming through to the recto.